I wonder how many out there lived through Vietnam. A war we couldn't win. Played out politically as much as in Southeast Asia's dense and malaria-ridden jungles. Extreme heat one day, relentless and soaking rain the next. Drift back 50 years. It's 1968. The week of February 11. The place: Vietnam. And the streets of America. As war raged in Vietnam, passions raged on America's streets. February 11 to February 17 was the deadliest of the war. The Tet Offensive it was called. I can still hear Walter Cronkite saying it. Night after night. I didn't know what Tet meant, but I knew the offensive was very bad. North Vietnam and the Viet Cong staged surprise attacks at military and civilian command centers. Turns out it was named after the Vietnamese New Year - the day the attacks were launched. Dead Americans: 543. Wounded: 2,547. Many, maybe most, were convinced the war was lost in '68. College campuses exploded and pro- and anti-war protestors battled on the streets of America. The White House and Lyndon Johnson were in crisis mode. Meanwhile, by the end of 1968, 16,592 American soldiers were dead. That's a slice of the horror our men and women in Vietnam experienced. The last American troops left on March 29, 1973. Fifty-eight-thousand-two-hundred-twenty Americans didn't make it home with them. No Hero's Welcome for those who did. Americans took out their hatred for the war on them. Veterans were spat upon. Assaulted. Cursed. Treated like the enemy. "Those who died deserved to die," bitter Americans shouted at them. Drift back home, to 2018. Frank Siller is a Staten Island guy who does good things. You might have heard of his brother, Stephen. Frank was supposed to play golf with his off-duty firefighter brother on Sept. 11, 2001. Except he didn't because Stephen had the guts to forget he had the day off and run through the Brooklyn Battery Tunnel to save lives at a flaming World Trade Center, only to lose his own. Frank and his family turned that horrible loss into an organization - the Tunnel to Towers Foundation - that does good things. Vietnam is 8,653 miles from Staten Island. But the place lives in the minds of many Staten Islanders still today. It lives within 85 families who lost a Staten Island son in Vietnam. It lives in the minds of Staten Island Viet Veterans fortunate to come home, thought to be about 1,000. Frank wants Staten Island Vietnam Veterans to know we care, and salute what they did for their country, when their country challenged them to serve. He is using his annual Veterans' Day Golf Classic & Dinner to do just that. This year, Veterans' Day is a Sunday so Frank is doing his event the following day, Monday, Nov. 12. He wants every Vietnam Veteran on Staten Island to attend. Frank and his team have been working with Veterans groups like the Marine Corps League and Tori Chapter, Vietnam Veterans of America, to spread the word. I'm writing this note to Staten Island to do the same. If you know a Veteran, share this. If you know a family who lost their hero in the war, share this. If you are a Veteran, come Nov. 12. There's a very special price break for Veterans who want to play golf, or just go to the dinner in the Hilton Garden Inn. What makes this year's event extra special is that money raised goes toward building "smart homes" for catastrophically injured service members. The Sillers are slated to build a "smart home" for a Staten Island Vietnam Veteran - Sgt. Michael Sulsona, the first Vietnam Vet to get one. It'll be in New Dorp. A "smart home" is designed so a Veteran in a wheelchair, for example, can function easily through how the home is designed with specially designed appliances. And it is totally mortgage-free. Sgt. Sulsona stepped on a land mine in Vietnam in 1971. He lost both legs above the knees. But he survived. And because he did, he went on to get a master's degree, has written 23 plays, many of them award-winners, appeared in the movie "Born on the Fourth of July," and now is an ambassador for Tunnel to Towers, providing guidance to other injured service members. That's why the Nov. 12 event is so important. Without the support of giants like Home Depot and General Motors and without the support of Staten Islanders like you, people like Staten Island's Marine Corps Sgt. 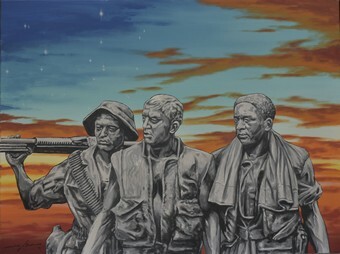 Michael Sulsona, who gave of himself to our country because our country called, might erase the sad homecoming Vietnam Veterans received so many years ago. 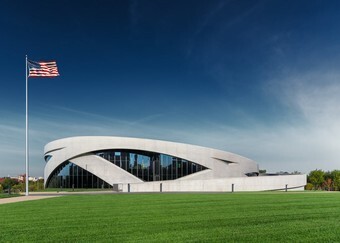 The Defenders Lodge was the result of a public-private partnership between the VA and the PenFed Foundation, which raised $11 million in donations to fund the construction of the lodge. The 52 room facility can house up to 104 Veterans and has a dining room, library, and private outdoor spaces. Freeman said it is full every night of the year. “We have been overwhelmed by the generosity from PenFed – and the community – even with people that don’t have Veterans in their family – people of whatever political stripe – they set that aside, when you’re talking about doing this for Veterans, and they’re just very generous in doing so,” Freeman added. 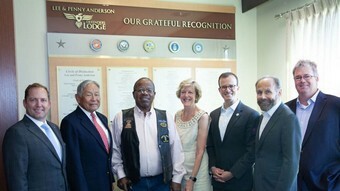 The Defenders Lodge officially opened in 2014. The organization celebrated and honored the people who helped bring it all together Monday night, including former Secretary of State George Shultz and Condoleezza Rice. Without having been involved in combat, this Veteran says he's left wondering what kind of man he is. And the warless, like me, are not. But the idea that only warriors or those directly affected by war in obvious ways can speak to war’s effects with authority isn’t true. In many respects the difference between those who served like I did was a matter of luck. We signed the same contract, shipped off to the same training grounds and entered similar units. For months we all ran around jungles, deserts and oceans refining our tactical abilities. At-home memories of loved ones faded and love did too. Divorce and breakups were a common occurrence. All for our country, we said, swimming toward the bottom of another liquor bottle. We were as prepared as any other unit, but it was the Pentagon that chose which units went to war. Ten thousand here, 15,000 there were sent off to fight, and we stayed behind. War wasn’t a reward for the most prepared, but a strategy to which we were never privy. The stories of those who have served in combat dominate war lit — novels, memoirs, stories short and long. Yet roughly 90 percent of the military doesn’t experience that kind of war; our stories remain largely unwritten. I’m not the kind of Veteran who’s asked to write a memoir, who’s remembered in books, or who’s written about in news stories. But like most Veterans I have a story: I’ve been affected by war, though not by its obvious horrors. After years of false hopes and disappointments from Congress, military personnel with at least 20 years of service who did not spend more than 179 consecutive days on federal active duty received an early Christmas present from both Congress and the president. President Barack Obama signed into law on Dec. 16 legislation known as the Jeff Miller and Richard Blumenthal Veterans Health Care and Benefits Improvement Act of 2016 that grants Veteran status for National Guard soldiers and airmen and reservists from all branches of service. 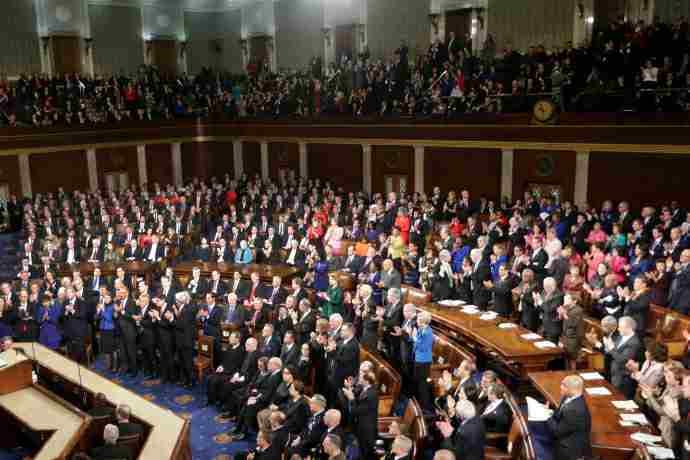 Earlier this month, the 114th Congress approved legislation to expand the legal definition of a Veteran for guardsmen and reservists who honorably serve or had served in the military for 20 years but were never called up for federal active duty for an extended period of time. “I still think it falls somewhat short, but it is a step in the right direction. A person in the guard or reserves who spends 20 years of good service at a minimum would get around 1,260 days on duty or about 3.5 years of honorable service.” Brig. Gen. Bill Burks, the adjutant general for Nevada. "This legislation is a victory for Veterans. While we still have work to do, I am proud of how we have moved the ball forward in a bipartisan way," said Rep. Tim Walz, D-Minn., a retired National Guard sergeant major. Since first coming to Congress, Walz — along with members of the Nevada delegation to include Sen. Dean Heller, outgoing senator and Senate Minority Leader Harry Reid and Congressmen Mark Amodei and Joe Heck, both Army Veterans — has fought tfor this legislation to honor guardsmen and reservists. In Nevada for example, the state recognizes guardsmen and reservists as Veterans without the requirement of 179 days of federal active duty. No one, though, welcomed the news more than Brig. Gen. Bill Burks, the adjutant general for Nevada. "I still think it falls somewhat short, but it is a step in the right direction," he said in an email to the Lahontan Valley News. "A person in the guard or reserves who spends 20 years of good service at a minimum would get around 1,260 days on duty (63 days times 20 years) or about 3.5 years of honorable service. "I know all enlistments are now for eight years (active, guard and reserve), but if you can manage that as a period of two to three years active duty enlistment and spend the remainder in the IRR (Individual Readiness Reserve), you are considered a Veteran even if you never leave the United States. So you can see the disparity in the systems. "Lastly, I don't know of any guard member that only does the one weekend a month and two weeks a year anymore. I think the average nationwide is well over a 100 days for the average guard member." Kat Miller, director of the Nevada Department of Veteran Services, said the legislation provides for no additional benefits other than permitting those who are entitled to retired pay for nonregular service to be referred to as Veterans. "Nevada is ahead of the federal government in acknowledging members of the Guard and Reserve as Veterans," she said. "In fact in 2013 Gov. (Brian) Sandoval signed Assembly Bill 266, which established that in Nevada members of the National Guard and Reserve forces are defined as "Veterans" if they have been assigned to duty for a minimum of six continuous years, even if they are not military retirees." Sen. Dean Heller said the passage of the bill and the president's signature "have been a long time coming." He said guardsmen and reservists take the same educational courses and perform the same type of training. "I am very grateful to honor those who honor their country," Heller said in a phone interview with the LVN. "This will serve them well. These men and women work hard and serve hard. They did what they had to." Likewise, Amodei said Walz's legislation bill is common sense legislation and lawmakers persevered to pass this law. "It's the right thing to do," said Amodei, who represents Congressional District 2 in Northern Nevada. "The folks in the Guard and Reserve will now be acknowledged." Both Reid and Heck did not comment on the bill's passage. The National Guard Association of the United States has been a big proponent of attaining Veterans status for guardsmen and reservists. "The current definition has long been out of date," said retired Maj. Gen. Gus Hargett, NGAUS president. 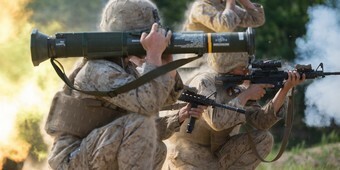 "It fails to recognize the deterrence value of training and readiness to our national security. Many of those affected underwent arduous, even dangerous, training. They helped win the Cold War. Others worked in direct support of those who did deploy. Yet our nation tells them that they aren't Veterans." NGAUS vigorously pushed for the change for six years. It easily passed in the House in every session only to be halted in the Senate by fears that an expansion of the definition would raise the cost of Veteran entitlement programs. The House and Senate actually approved the change last year, but the language was not identical. This forced the two chambers to come up with a compromise provision, which they did last week. John Goheen, director of Communications for NGAUS, served on active duty and has worked alongside guardsmen and reservists. "All of us should be called Veterans. We all served," he said, adding many guardsmen and reservists served with distinction. Because of the provision of the law, Goheen said the newly minted Veterans will not be eligible for additional benefits, a point echoed by Miller. "However, neither the Federal nor the state legislation affects eligibility at our cemeteries or at the Nevada State Nursing home," Miller pointed out. "Our cemeteries and nursing home must follow federal eligibility guidelines in order to receive federal reimbursement. This legislation did not change current Federal law which only permits National Guard and Reserve members to be buried at the cemeteries if they have served two continuous years on active duty, died while in the line of duty, or if they were officially retired from the guard of reserve." Retired Nevada Army Guard Command Sgt. Maj. Wayne Willson said the bill will affect millions of guardsmen and reservists across the United States, and thousands of military personnel in Nevada who never worked in an AGR (Active Guard Reserve) full-time federal status or deployed for more than 179 days. Willson said not too many Guardsmen deployed to Vietnam although the Nevada Air Guard received orders to activate airmen when the North Koreans seized the USS Pueblo in 1968. Fewer than 51,000 Guardsmen received a call up to Desert Shield/Desert Storm in 1990-1991. The massive deployments, though, began in 2002 and 2003 when the military deployed both active duty and reservists to Iraq and Afghanistan. Retired Nevada Army Guard Maj. James M. Ludlow of Fallon spent 22 years in the National Guard but never deployed more than 179 days. During his career, he commanded several Carson City units and traveled overseas numerous times for training including to the Republic of Korea and Panama. "It bothered me a little bit," Ludlow said about the federal government's lack of recognition for Guardsmen and Reservists. "People served only two years in active duty were called Veterans," said Ludlow, an engineering officer who has the equivalent of more than six years of military service. "When I served in the Guard, we were eligible for federal call-up." Ludlow said he was glad when he heard Congress passed the legislation and the president signed it. Chief Warrant Officer 4 Joe Dolan of Carson City spent 41 years in the Nevada Army Guard, most of that time as a state technician. Although technicians wear the uniform and must take the same courses as their active-duty counterparts, they are considered as civilian state — not federal — employees. Most technicians worked in Carson City, Reno and Las Vegas. "This is certainly good news," said Dolan, who served as both an administrative and safety officer. Overall, Miller said the legislation is important for recognition. "I personally would like to see the federal government expand eligibility for burial and nursing home benefits to all those who serve in the Guard and Reserve … not just our retirees," she said. "These patriotic men and women volunteered to serve our nation and our state in times of both restless peace and war; the fact that they were not called up to do so in no way detracts from their willingness to serve." HR 2691 – Authorizes the VA to provide burial and funeral benefits to Veterans if there is sufficient evidence to establish that they deserve the benefit, even if the Veteran had not filed paperwork with the VA previously. Sections of HR 1338 – Requires VA to report to Congress on the interment of unclaimed remains of deceased Veterans to ensure they are treated with dignity and respect. HR 2531 – Fixes a component of the Fry Scholarship (for surviving spouses of post-9/11 Service Members who die in the line of duty) so that recipients from 2001-2005 can receive the full benefit they are entitled to. According to the congressman's office, the bill also had about 60 other provisions improving VA-provided services to homeless Veterans, VA construction management, the Vocation Rehabilitation and Employment program, and access to care in the Veterans Health Administration. These are just a couple of early changes, and there are more on the way. We’re committed to giving you a seamless Medicare experience, whether you’re looking for quick answers online or comparing costs and coverage in different health plan options. To stay on top of eMedicare improvements and other important news from Medicare, sign up for our email list and follow us on Facebook. This year, I returned to Vietnam where my heart was broken when we visited a hospital where children with serious birth defects linked to Agent Orange live out their lives. It also saddens me to say that currently children of male American Vets who were exposed to Agent Orange are exempt from receiving VA benefits. The VA knows just how common Agent Orange exposure is in Vets and has a comprehensive health care program designed specifically for those exposed to or sickened by Agent Orange. 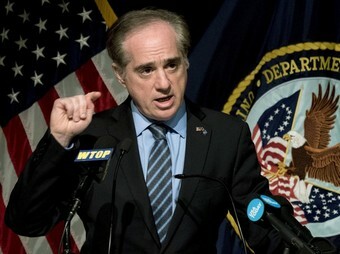 The VA is the largest integrated health care system in the U.S. It is a system designed by Vets and for Vets. The majority of those who work for the VA are Vets themselves. They understand the unique and complex needs of Vets. Importantly, a recent study found that pushing Veterans out of the VA may end up costing more taxpayer money and mean lower quality of care for Vets as the private sector system isn't prepared to meet the needs of more patients. In addition, most VA workers are protected by unions. As a retired postal worker and a longtime labor activist I know how important it is to have union workers be able to push for changes to make things safer and better. Union nurses at the VA have been able to do just that. They have fought for safe patient handling protections and nurses' involvement in safety inspections. Importantly, they have made sure that a nurse can report unsafe conditions without facing retaliation. If something is not right where I am getting health care, you know I want to be sure that someone - like a nurse - feels backed up and safe enough to say something. Right now the VA is under attack. President Trump kicked out the former Secretary of Veterans Affairs David Shulkin. Shulkin opposes efforts to push Vets out of the VA and into the private health care sector, a move he says will hurt Vets. In a piece published in the New York Times Shulkin wrote, "I am convinced that privatization is a political issue aimed at rewarding select people and companies with profits, even if it undermines care for Veterans." We must fight against this effort. Pushing Vets out of the VA means leaving them to the wolves of the private sector, where sickness is seen as a way to make money and Vets will no longer get care from those who understand their needs and how best to address their illnesses. I have worked hard since I came back from my deployment in Phu Bai, Vietnam to fight against the forces that seek to exploit people. I continue to stand up against the American war machine, and I stand up for my brothers and sisters in the labor movement, now I am standing up for myself and for all my fellow Veterans. 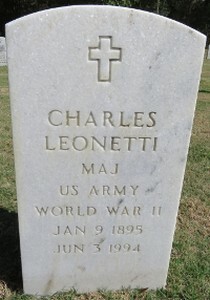 I know, I am standing up for what is right, when I say we must save the VA.
Maj. Charles Leonetti immigrated to the United States from Italy in the early 1900s. When the United States entered World War I, he enlisted in the U.S. Army despite not yet being a U.S. citizen. He later became a well-known artist in New York and served again during World War II. Leonetti was born in Naples, Italy on January 9, 1895. He immigrated to New York City as a teenager sometime around 1910. There, he studied at the Cooper Union which provided free education to low-income and working-class students. Leonetti joined the school’s Art Student League in 1913 and was mentored by the American painter Robert Henri. The United States entered World War I on April 6, 1917. A few months later, Leonetti enlisted in the U.S. Army. He served in Company G of the 105th Infantry Regiment and participated in two iconic operations. Leonetti and the 105th fought alongside the British Expeditionary Force in the trenches of Flanders during the Battle of Lys, and later the Second Battle of the Somme. The Army discharged Leonetti in April 1919. He immediately joined the Army Reserve and attended officer’s training. In May 1920, Leonetti became a naturalized U.S. citizen, a process that Congress made easier for Veterans of World War I that had received an honorable discharge. Leonetti returned to the Art Students League in New York City and began gaining notice for his work. He focused mostly on painting and photography, but also became an actor in movies and danced on Broadway. He became revered in photography and began photographing famous Broadway Stars. His connections earned him an appearance in the Broadway play The Miracle and the opportunity to photograph the portrait of the lead actress, Lady Diana Manners. His experience landed him an executive position in the Macy’s photography department. There he met more famous figures, including Elanor Roosevelt. Leonetti began operating his own photography business and earned more income than his position at Macy’s. When the stock market crashed in 1929, Leonetti’s business suffered substantial financial loss. However, he remained undeterred in the years of the Great Depression and continued his work. His reputation continued to draw business and allowed him to keep operating without the need to lower his prices. He married Mayme Laurel Sellers in July 1939. The couple lived in Manhattan for two years before Leonetti entered the Army again as a Reserve officer just after his 46th birthday. During World War II, Leonetti served in Germany during the occupation of Berlin following the Allied Victory in 1945. After his discharge in August 1946, Leonetti and his wife moved to Tampa, Florida where they both remained active in the art community. 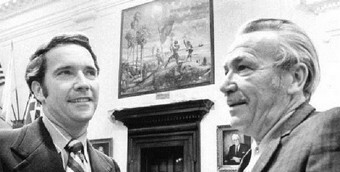 Leonetti maintained an art studio while his wife served as the director of the Tampa Art Institute, now the Tampa Museum of Art. Both advocated for the importance of education for Veterans after the creation of the G.I. Bill. Charles “Carlo” Leonetti passed away on June 3, 1994 at the age of 99. He is interred at Florida National Cemetery in Bushnell, Florida. In 2017, the Veterans Legacy Program partnered with the University of Central Florida to conduct research on Veterans interred at Florida National Cemetery. Students and faculty produced biographies for over 100 Veterans, one of whom is Maj. Leonetti. You can read the biography written by a student here. Join us in honoring the life, service, and legacy of Maj. Charles Leonetti. Will Orange County Veterans finally get a local cemetery?